Going back to ancient times, elders preached about the wisdom of saving money. In the modern era, three primary saving objectives have emerged for most people: (1) saving for retirement; (2) saving for your children's college educations; and (3) saving for emergencies. This "big three" hasn't changed much over the past century. But plenty of things have shifted. Few companies still provide the sort of pension plan that can ensure a comfortable retirement without eroding your current salary. The cost of higher education continues to skyrocket. And with numerous other competing interests, not to mention other rising costs, it's getting harder and harder to set aside money for a rainy day. 1. Retirement planning: This is generally the top priority because it encompasses the most people – including those with or without children – and it is critical for virtually everyone. Just think that you're likely to live about one-quarter to one-third of your life in retirement on a fixed income. With the latest medical advances, early retirees might even live close to half of their lives in retirement! Typically, savings will come from a variety of sources, including tax-qualified retirement plans, taxable investments, and Social Security benefits. When possible, take advantage of employer-provided plans, like a 401(k) plan or pension plan, and IRAs. For 2017, you can defer up to $18,000 of salary to a 401(k) or $24,000 if you're age 50 or over and you may benefit from matching contributions from your employer. The limit for IRA contributions in 2017 is $5,500 or $6,500 if you're age 50 or over. With a Roth IRA, future payouts are generally tax-free. Finally, the Social Security Administration (SSA) can project your future Social Security benefits based on your earnings history. But those benefits alone probably won't be enough to support you in retirement. 2. College planning: While retirement planning is essential, saving for college might appear even more crucial if your children are approaching the age at which they'll head off to school. Yet despite the timing – your kids' college years usually precede your retirement – don't forget that it's much easier to save while you're still in your prime earning years. 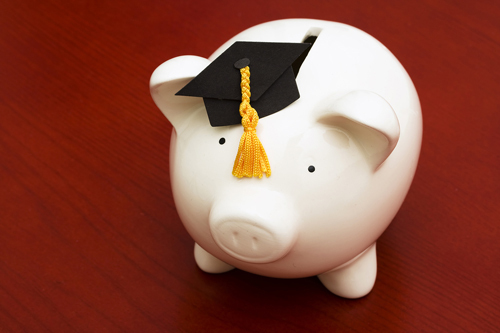 Furthermore, there are a number of ways to boost your college savings funds. One key vehicle is the Section 529 plan. Under these state-run plans, you can set aside money in an account where it's invested on a tax-deferred basis. When you withdraw funds to pay for qualified higher education expenses, the distributions are exempt from current tax. Although the details vary from state to state, the limits for contributions are generous, usually well into six figures. Other techniques may be used alongside or even in lieu of a Section 529 plan. Those might include custodial accounts, Coverdell Education Savings Accounts (CESAs), loans, scholarships, and various types of trusts. 3. Emergency planning: This is generally the most difficult goal to achieve because, on its face, it doesn't appear as vital as the other two. Yet you should recognize the need to have cash reserves you can draw on in the event of an unexpected event such as a catastrophic medical condition or a job loss. This rainy day fund can help sustain your family in times of need. No one can foresee the future, so you need to plan for the worst and hope for the best. 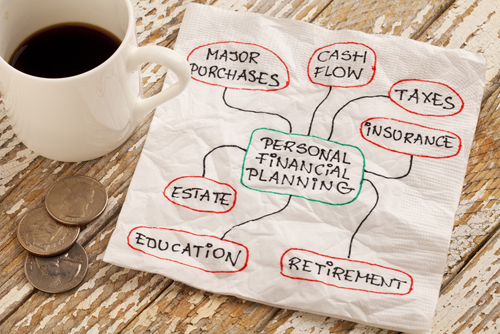 The conventional thinking is to set aside enough to get you through about six months of hard times, but the exact amount will differ, depending on your personal circumstances and your ability to save. Don't try to do it all in one fell swoop. Instead, as part of a monthly budget, try to deposit a regular amount in a separate fund and add in any windfalls, such as an inheritance or an unexpected insurance check that may come your way. Reminder: There's no need to sacrifice any one of these three goals. They are all important to your financial being, but there are times when you likely will prioritize one over the other. Strike the balance needed for your situation.